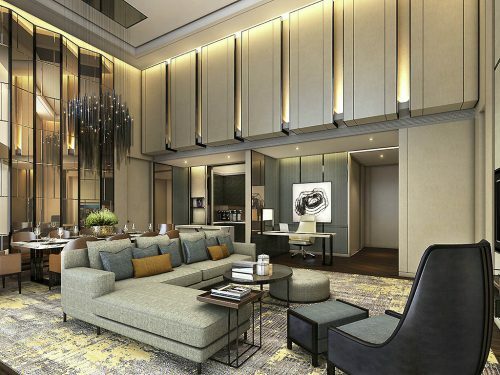 Sofitel Singapore City Centre will open its doors in October, the 223-room luxury hotel is elegantly designed, reflecting Singapore’s rich cultural heritage with undeniable French flair. 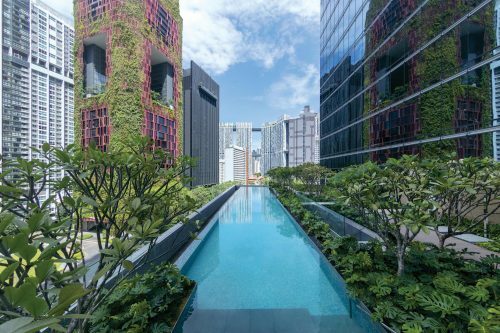 An oasis at the heart of historic Tanjong Pagar, the hotel is strategically situated just 20 minutes from Singapore’s Changi Airport. 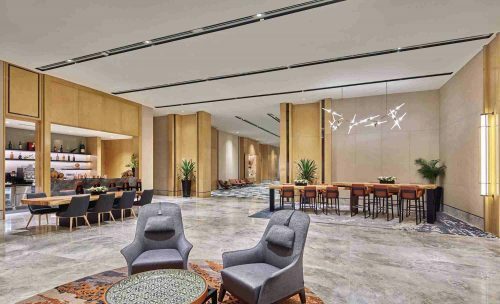 It will be AccorHotels’ 13th hotel in Singapore and will be shortly followed by a combined 782-room Novotel and Mercure complex which will open on Stevens Road, firmly cementing the group’s position as the largest hotel operator in Singapore. The 223 rooms and suites features floor to ceiling windows; complimentary minibars serviced by the hotel’s very own droid butler – Sophie The Robot; Sofitel’s luxurious MyBed; a Handy Phone which provides access to free local and international calls to 10 countries and wifi on the go; Smart TVs and Bose Sound systems; large soaking tubs with separate rain showers and luxurious Lanvin or Hermes amenities. 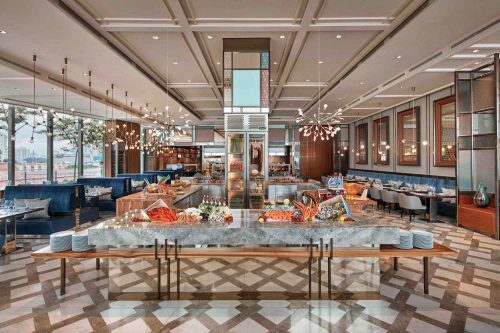 Sofitel Singapore City Centre offers several dining outlets including Racines, helmed by award-winning Executive Chef Jean-Charles Dubois, which will offer both French and Chinese cuisines prepared by two distinct culinary brigades across four open kitchens. Guests of Luxury Club Rooms and Suites will enjoy the services of Club Millésime, including breakfast, evening cocktails and canapes, a library, intimate meeting spaces and a butler service. Following the tradition of barrel-aged cocktail-making and the simple sophistication of martinis, 1864 (homage to the foundation year of Tanjong Pagar’s docking industry) aims to provide the perfect after-work vibe. Guests can enjoy Sofitel’s signature afternoon Hi-Tea and handcrafted gourmet bites and tapas throughout the day. 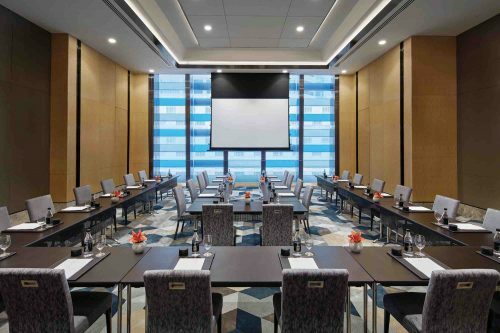 Sofitel Singapore City Centre will offer 20,000 square feet of meeting spaces across 10 flexible venues including the 600 sqm Wallich Ballroom, named after Nathaniel Wallich, the founding father of the Singapore Botanical Gardens. The hotel has partnered with the Imperial Treasure to provide premium wedding and banqueting menus. In addition to its own SoFit gym, Club floor guests can enjoy access to the adjacent Virgin Active Fitness Club – Tanjong Pagar which will offer a range of wellness programs. A specially-designed In-Room Fitness Kit complemented with a series of workout videos is available in all rooms and guests can also enjoy the 30m infinity pool and spacious Lawn for rejuvenating morning yoga. 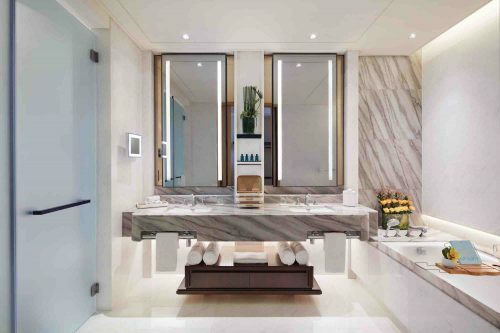 Guests looking for a holistic spa experience will be pampered at SoSpa located at Sofitel Singapore Sentosa Resort & Spa. 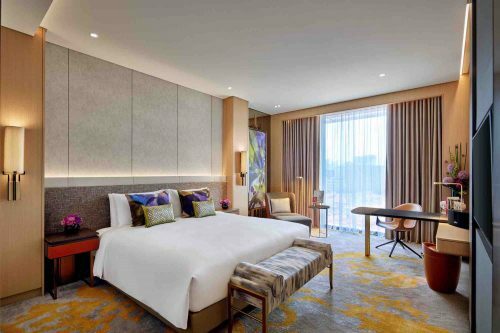 To celebrate the opening of Sofitel’s flagship property in Singapore, the hotel is offering a special opening rate of $800++ per room for 2 nights, in commemoration of Sofitel Singapore City Centre being the 800th Accor Hotel in Asia Pacific. For further information and bookings, please visit http://www.sofitel.com/a152 and follow them on Facebook and Instagram.